Two 17-year-old boys from Laytown reported being assaulted and required treatment at Our Lady of Lourdes Hospital, Drogheda. The road to Gormanston train station. 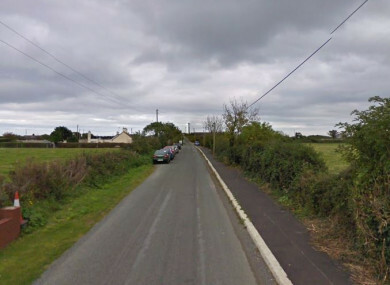 GARDAÍ INVESTIGATING AN assault on two teenage boys last Sunday have arrested two teens in connection with the attack. The attack occurred in the early evening on Sunday night. Gardaí responded to a call of a disturbance on the roadway leading to Gormanston Railway Station. Two 17-year-old boys from Laytown reported being assaulted and required treatment at Our Lady of Lourdes Hospital, Drogheda. They were allegedly assaulted by a large group of young men. The alleged attackers were described as both black and white youths and they were accompanied by females who witnessed the assaults. The groups boarded the train in Balbriggan and got off at Gormanston. Two teenage boys were arrested for the attack today in the Balbriggan area. They are currently being detained at Ashbourne Garda Station. Gardaí said the investigation is ongoing. Email “Two arrests made in connection with attack that left two teens hospitalised”. Feedback on “Two arrests made in connection with attack that left two teens hospitalised”.